Ahhhh... the 3rd of July is here, and the 4th is tomorrow. That means that you had better get your bad self ready for lots of parades, fireworks, barbecue and Get Happy Juice. America is kind of funny in that we celebrate our independence by getting drunk in dense crowds and hurling explosives about. Build a giant bonfire? Sounds like a good idea! A terrorist bombing of the Boston Marathon variety would go unnoticed at any respectable 4th of July party, and- if noticed- might actually be cheered until the people saw casualties. My celebration place of preference has always been Duxbury Beach. Duxbury allows bonfires, and the wealthy residents usually get someone up to New Hampshire... and he comes back with enough gunpowder to storm Normandy. 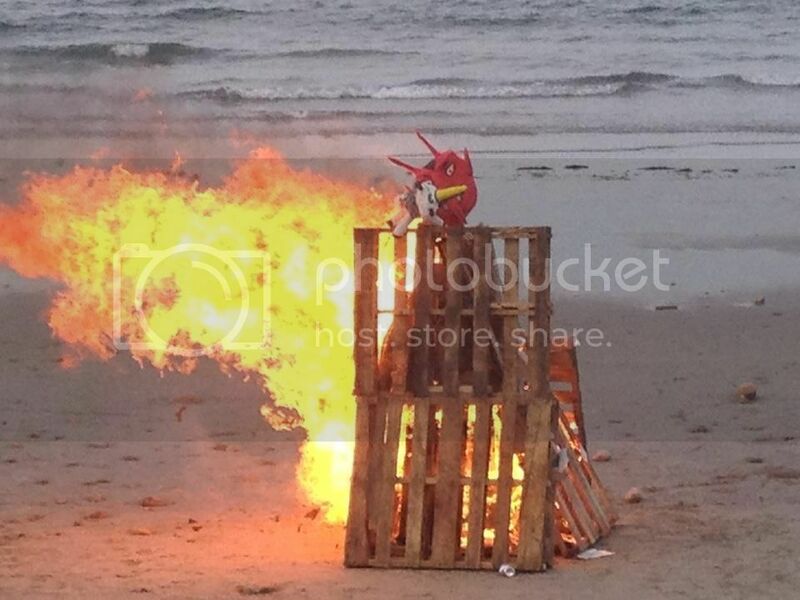 While that's getting set up, someone else is rounding up all the scrap wood in the neighborhood (via storms and the gentrification of the Irish Riviera, there is always a great deal of construction going on at Duxbury Beach) to build a 2-3 story bonfire. Last year, they added fire balloons. Yes, like the ones the Japanese used to attack Cascadia with in WWII. Our own particular aerial assault targeted wherever the wind was blowing... which, last year, meant the unsuspecting neighboring village of Brant Rock. While we don't expect you to wage undeclared war on whatever town is downwind of you, you probably should try to make an appearance at either a fireworks show or a parade. These are times of war, and you don't want the neighbors questioning your Patriotism. Besides, you might get laid! I tend to skip Boston, even before going there became dangerous... er. The fireworks are usually lit up to Tchaikovksy's 1812 Overture. The 1812 Overture has nothing to do with America's War of 1812... it was written by a Russian to celebrate the repulse of Napoleon from the Motherland. The song actually refers to a loss Russia suffered. If your birth certificate says "Rouen" on it, you probably lost a great-great-great-great-great-great grandfather or three in that war. Anyhow, here is the best schedule I can assemble on short notice. Events are subject to weather-based delays, remember. - Barnstable Fourth of July Parade, 9 a.m. Thursday, Barnstable Village, Route 6A. - Hyannis Port parade... starts 11 AM, at Hyannis Port Post Office, ends at West Beach Club. There's a road race at 9 AM, also starting in front of the PO. - Hyannis Boat Parade, boats assemble 1 PM, Hyannis Yacht Club, best viewed from Ocean Street at Hyannis Harbor. - Centerville... parade stats at 10 AM, at Centerville Elementary, ends at Centerville Recreation Department. - Cotuit, 11 AM, starts at the Post Office. - Edgartown's Parade, 5 p.m. Thursday, Main Street. - Falmouth Fourth of July fireworks, 8:45 p.m. Thursday, Falmouth Heights Beach, Grand Avenue. - Nantucket Fourth of July Fireworks, 9 p.m. Thursday,off Jetties Beach. Rain Date: July 5. 508-228-0925. - Edgartown Fourth of July Fireworks, 9 p.m. Thursday, Edgartown Harbor. Rain date: July 5. 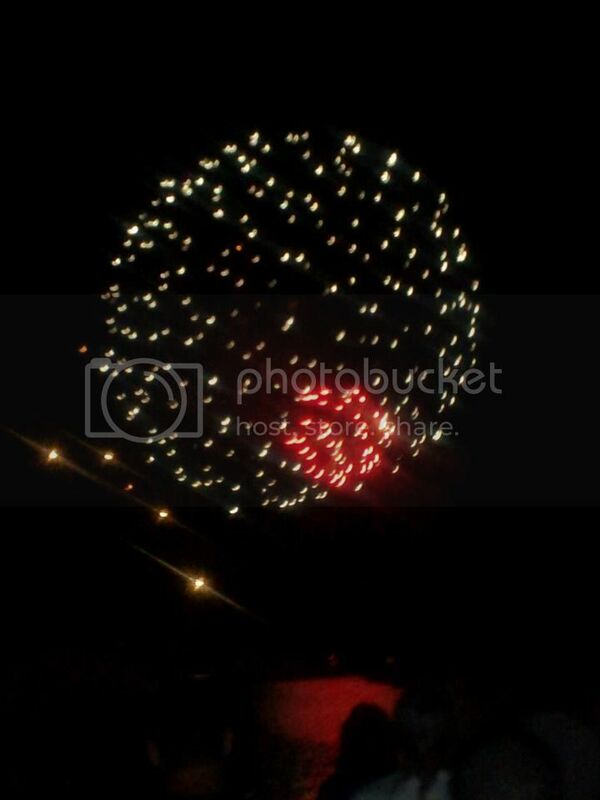 - Provincetown Forth of July Fireworks, 9 p.m. Thursday, MacMillan Pier. - July Fourth Boat Parade, 9 p.m. Thursday, Shawme Pond, Sandwich. - Mashpee Picnic and Fireworks 5 p.m., Tuesday, July 9, Mashpee High School. - Sandwich Fireworks, 10 p.m. July 12, Sandwich High School, Quaker Meetinghouse Road. Nor'easter Blues features news and commentary about things which affect our lives here on Cape Cod and the South Shore.